Lesser Stitchwort has much smaller flowers than the Greater Stitchwort, only up to about 1 cm diameter. The flowers are quite delicate with long, narrow petals alternating with long green sepals. 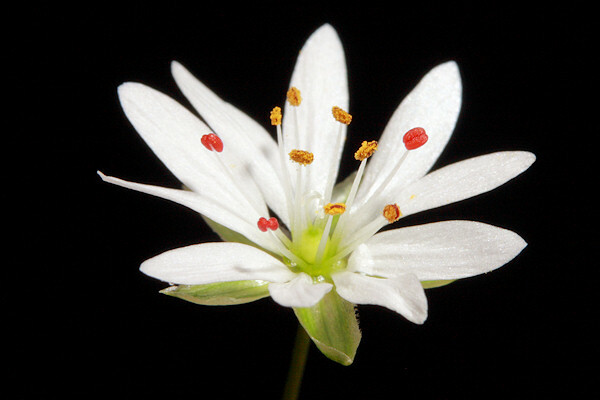 It is quite widespread in Britain but often goes unnoticed because the flowers are so tiny.